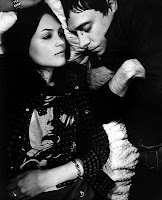 The psychedelic rock duo, the Kills is set to release their new album, "Blood Pressure" on April 5th. The band released a video of their first single,"Satellite" from the upcoming album. Enjoy! The Kills is playing in Toronto on May 1st at the Sound Academy.